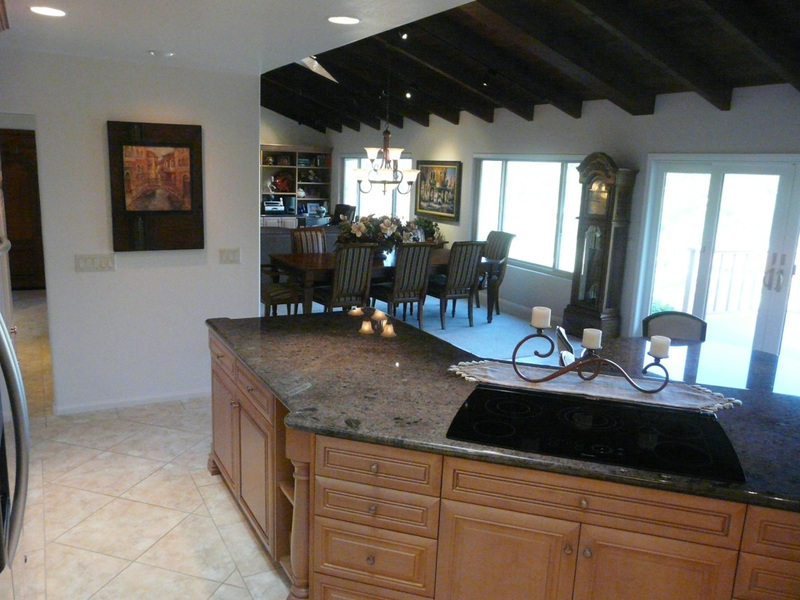 Removed large wall between Kitchen and Formal Dining Room and Living Room. 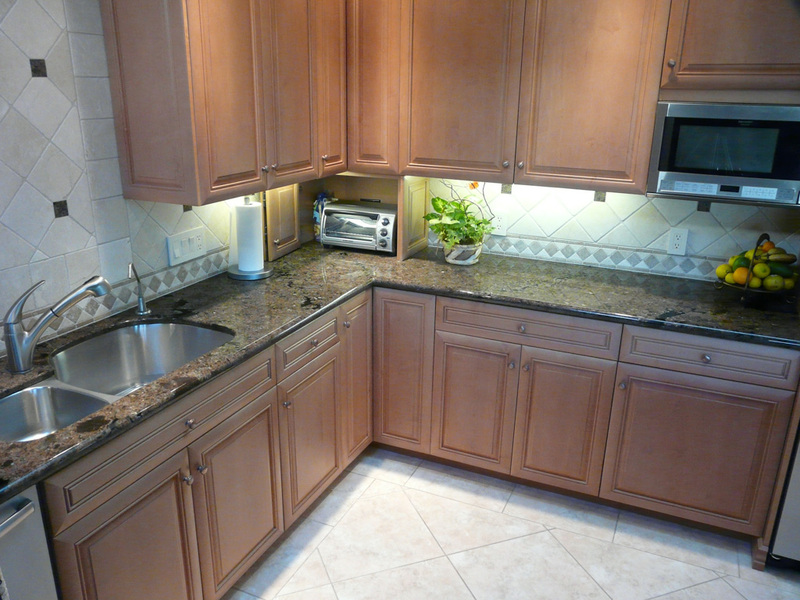 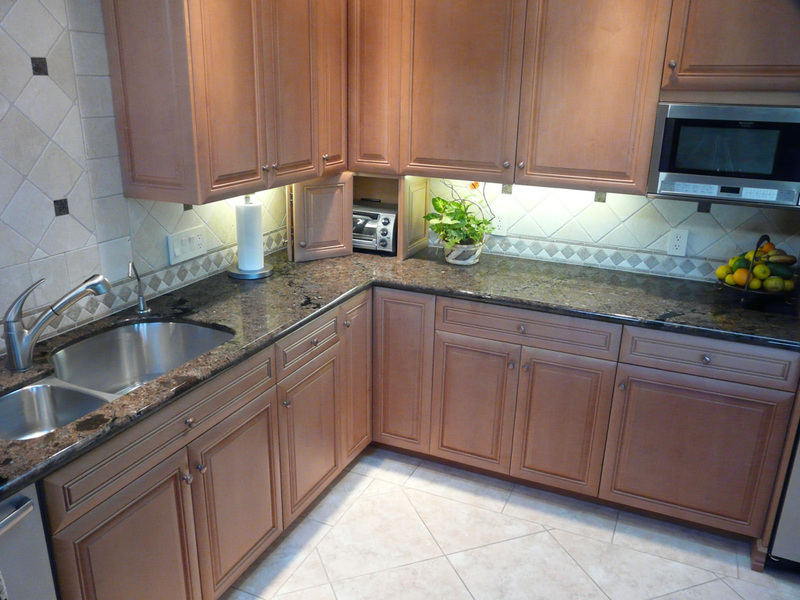 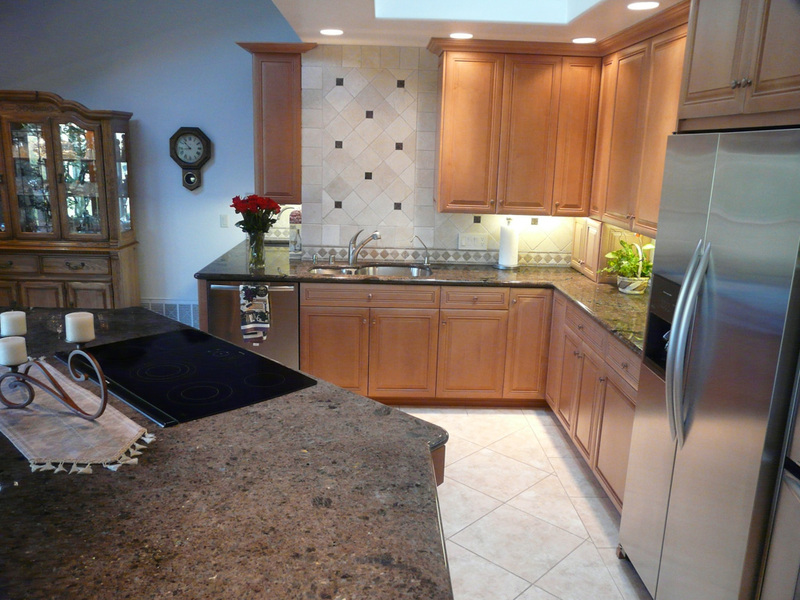 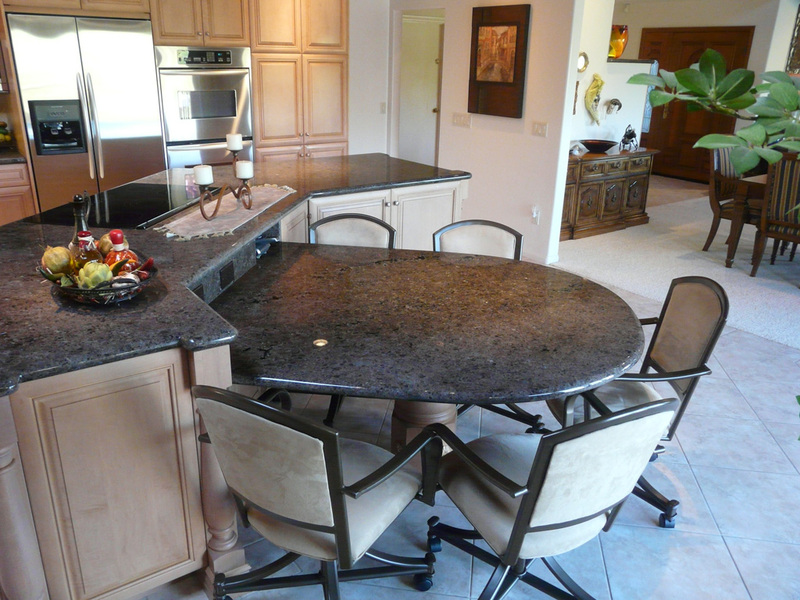 Granite counter tops with marble backsplash with granite dots. 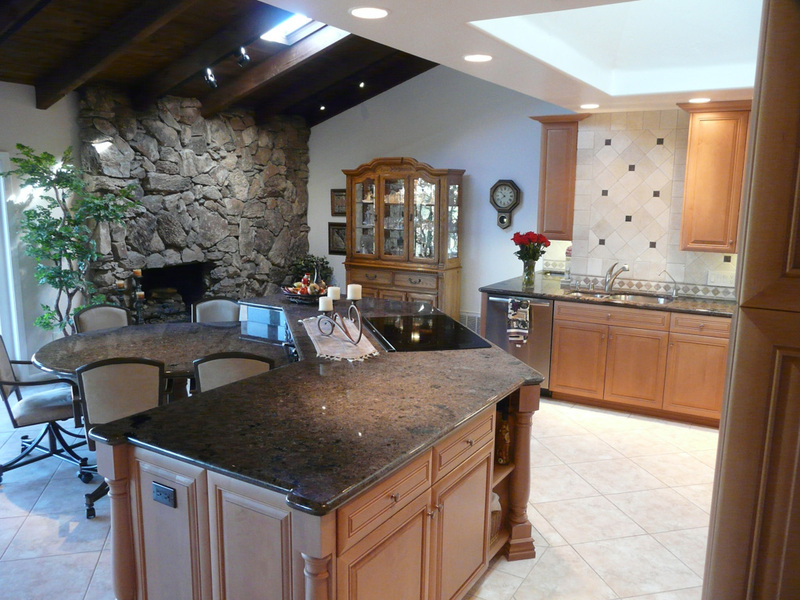 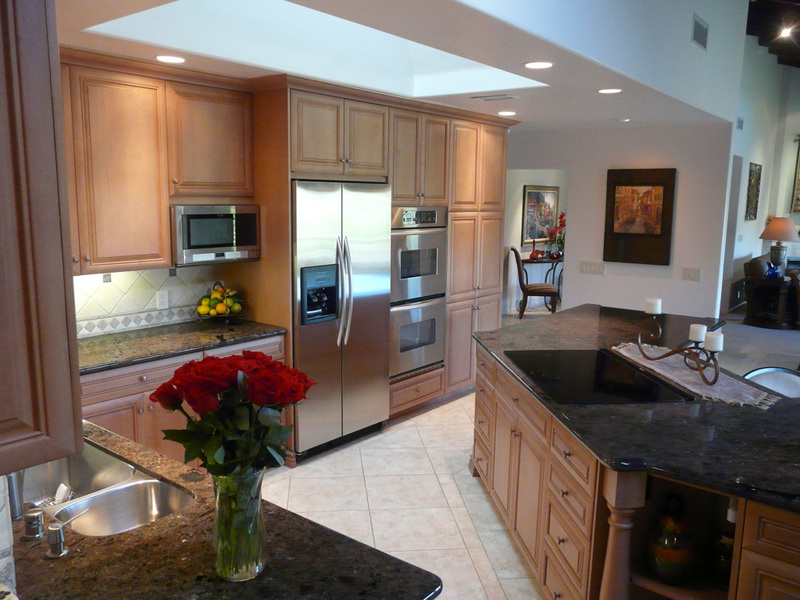 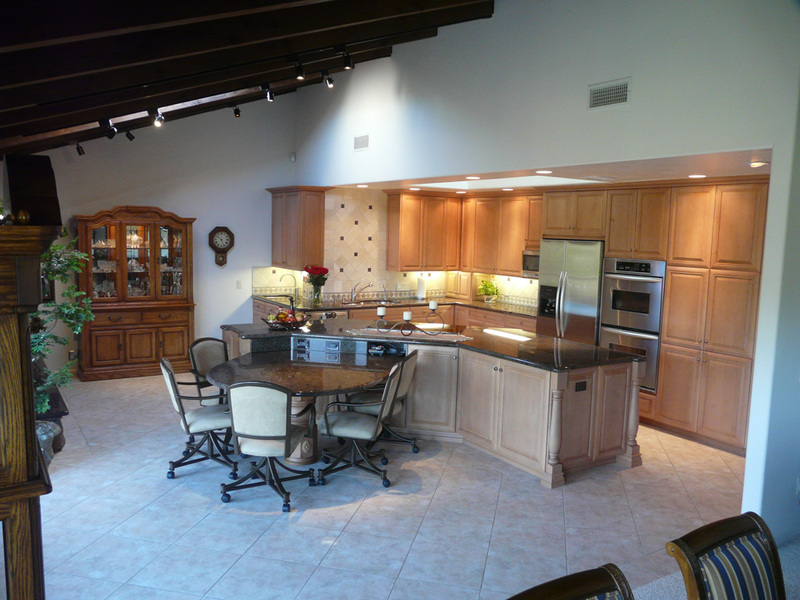 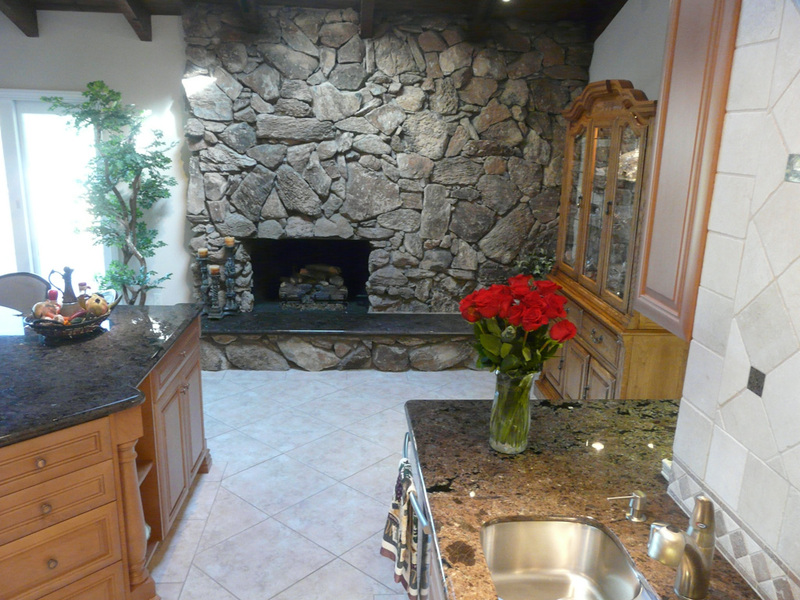 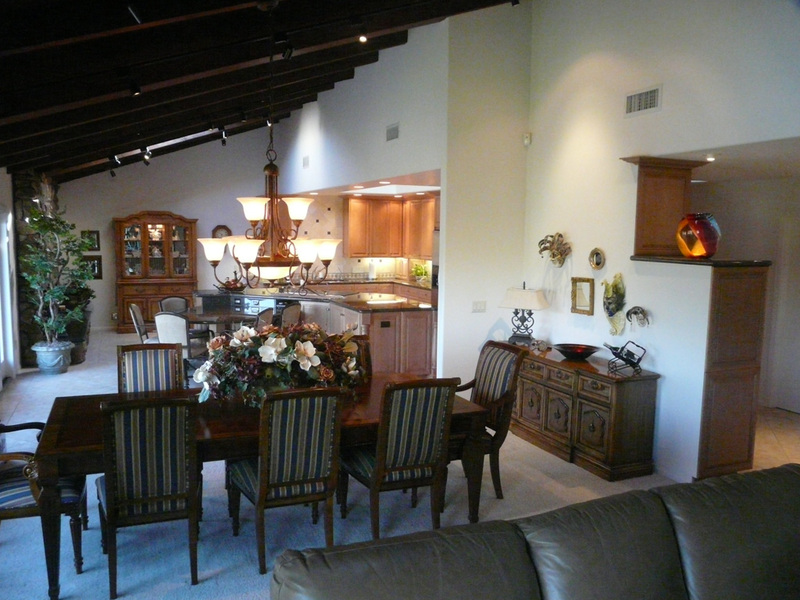 The main criteria in this homes remodel was to remove a large wall separating the kitchen from the Formal Dining room and Living room to make one Great Room. 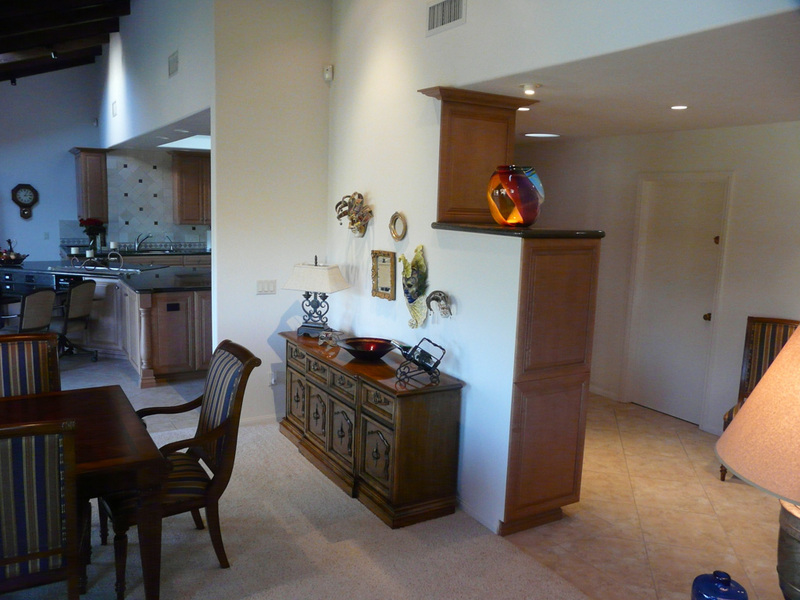 As you can see in the photos opening these rooms up to one another allows a great deal more light to flow into each area. 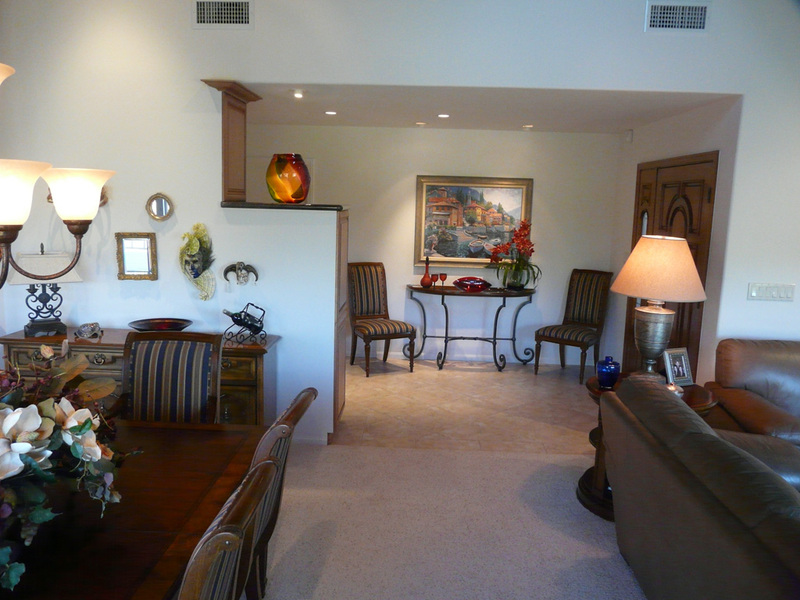 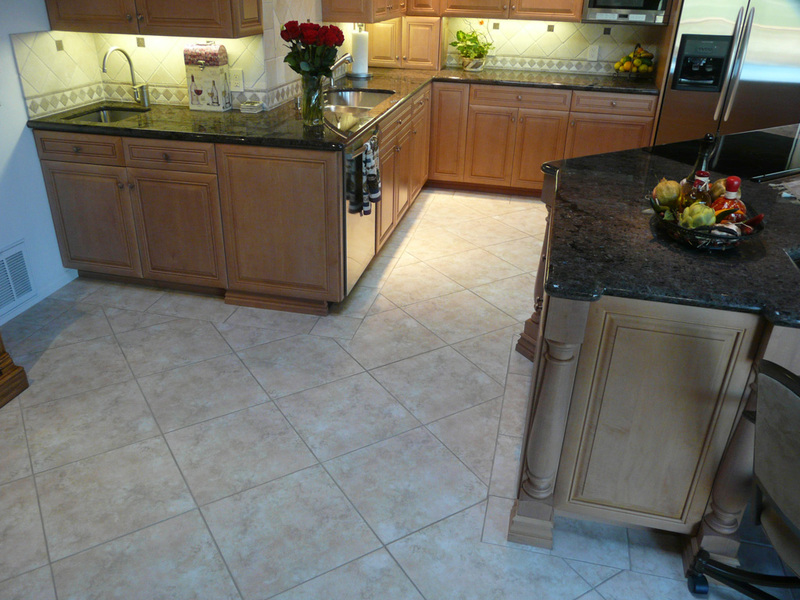 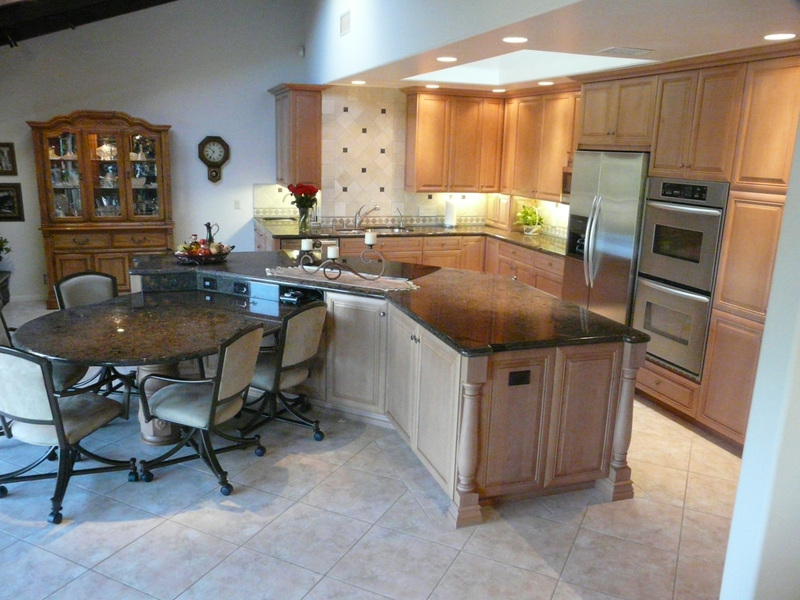 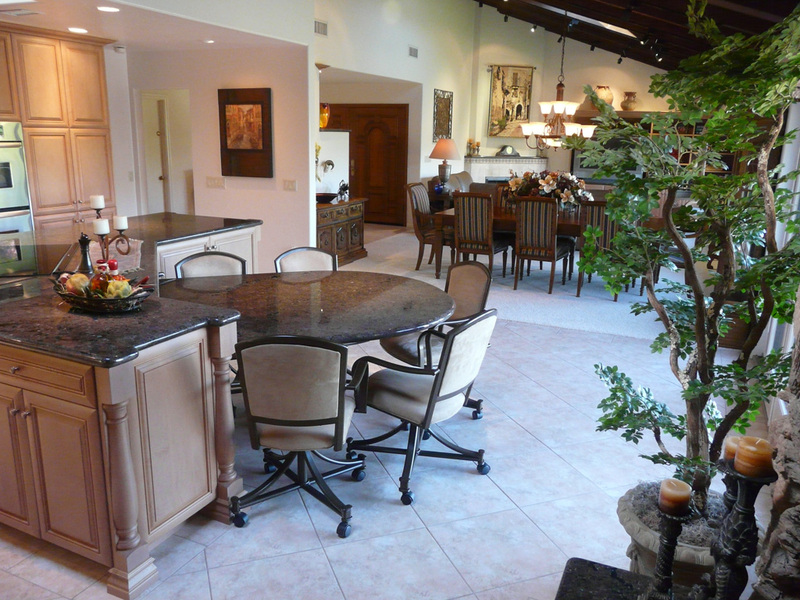 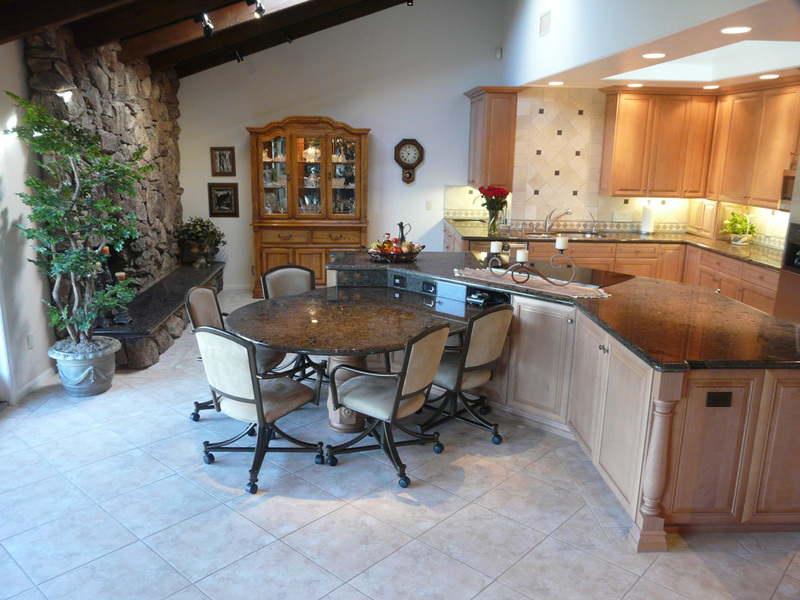 This is now a great area for entertaining friends and family. 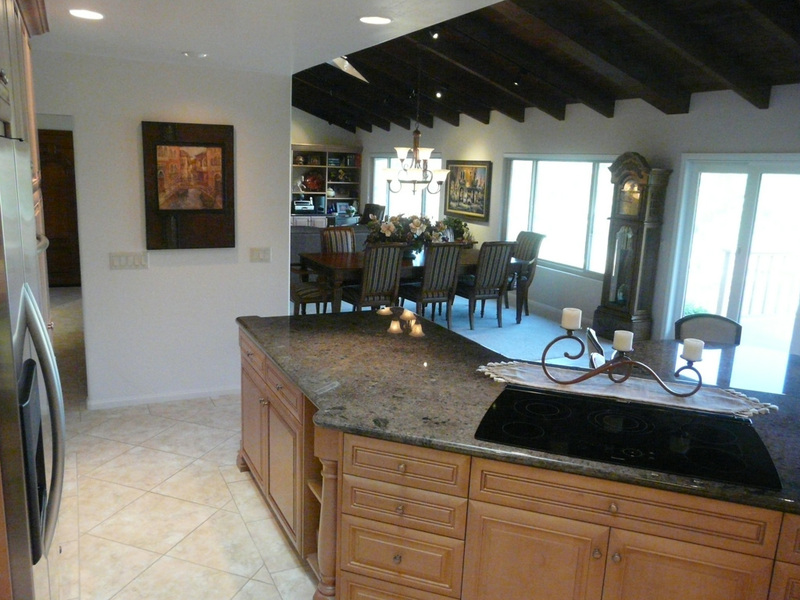 We also cleaned up an existing skylight in the kitchen area widening it so it allowed more light into the room. 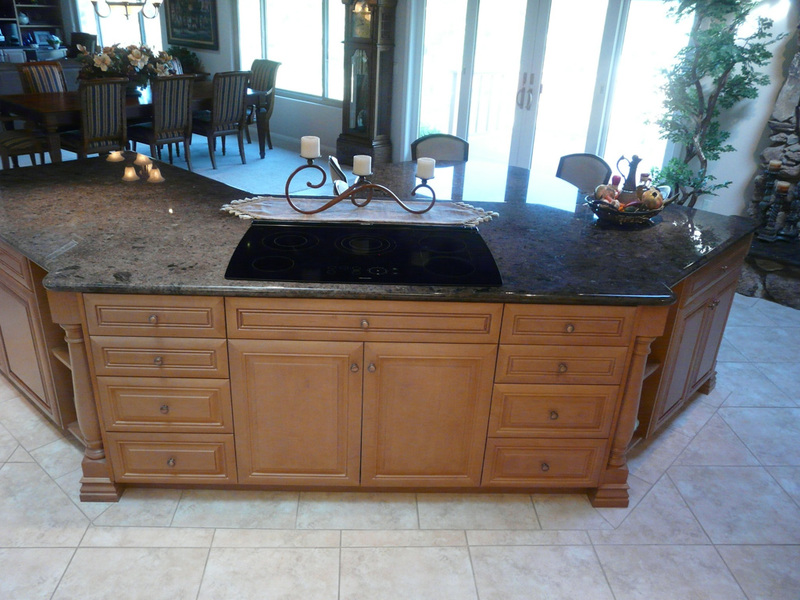 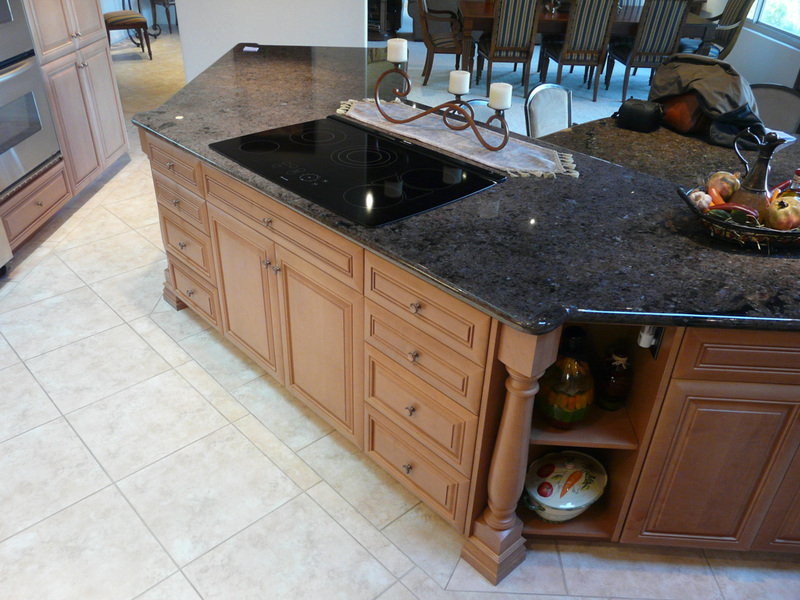 An everyday eating table and phone center was custom built in to the back of the large island with a decorative table base stained to match the cabinetry. 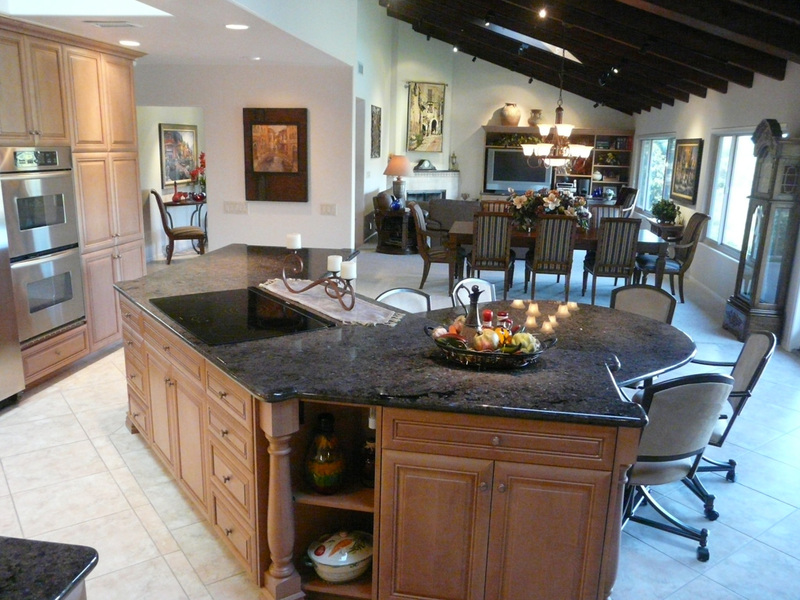 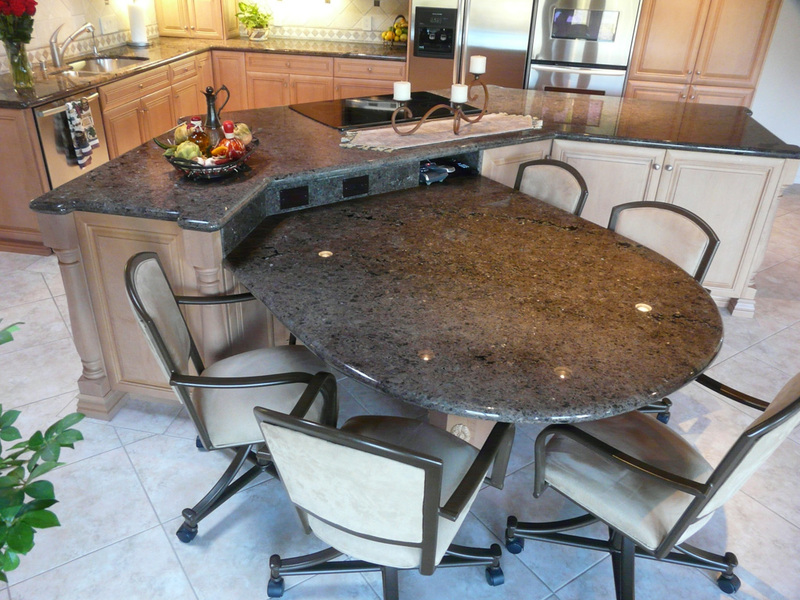 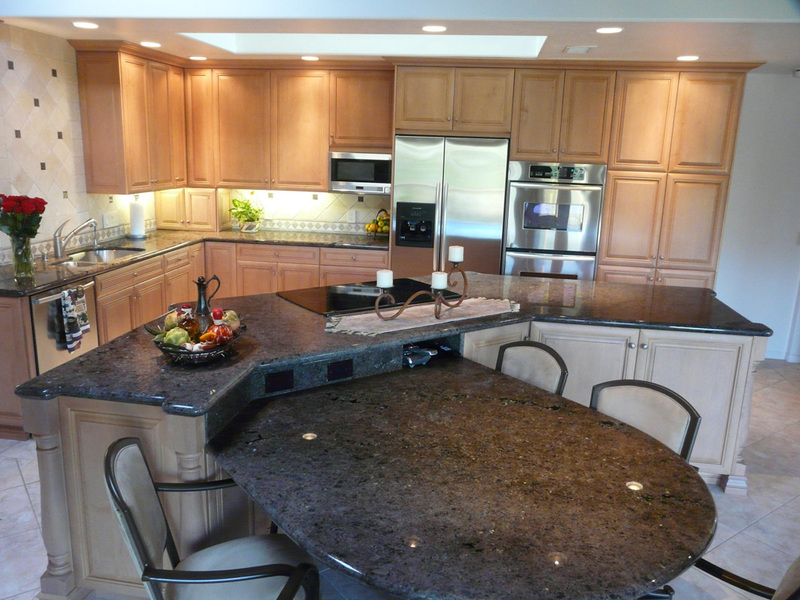 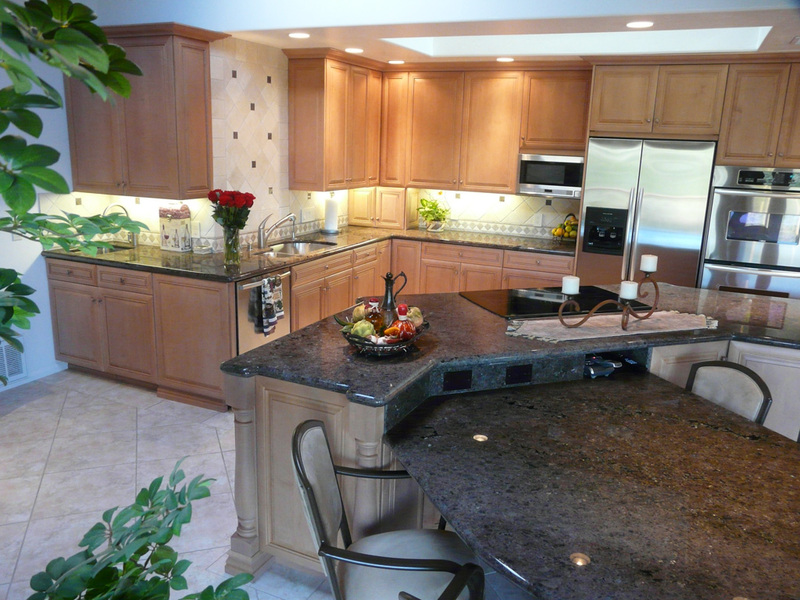 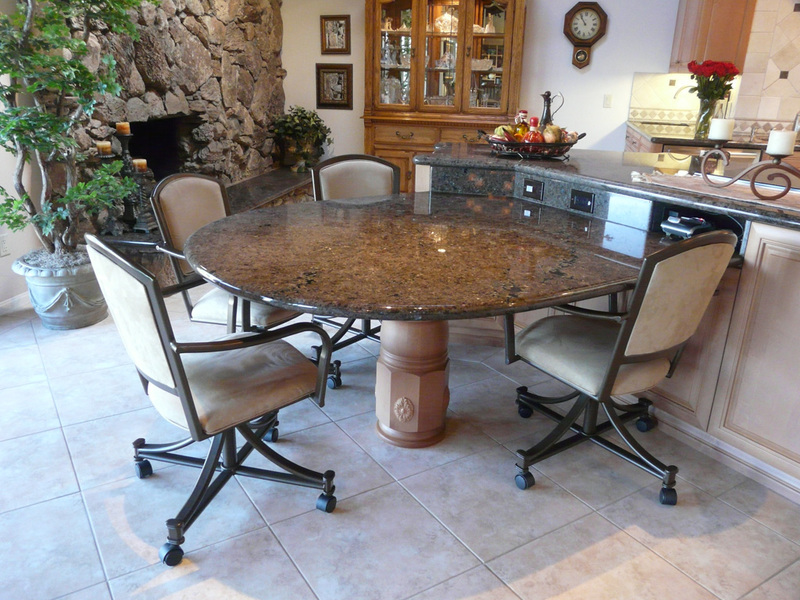 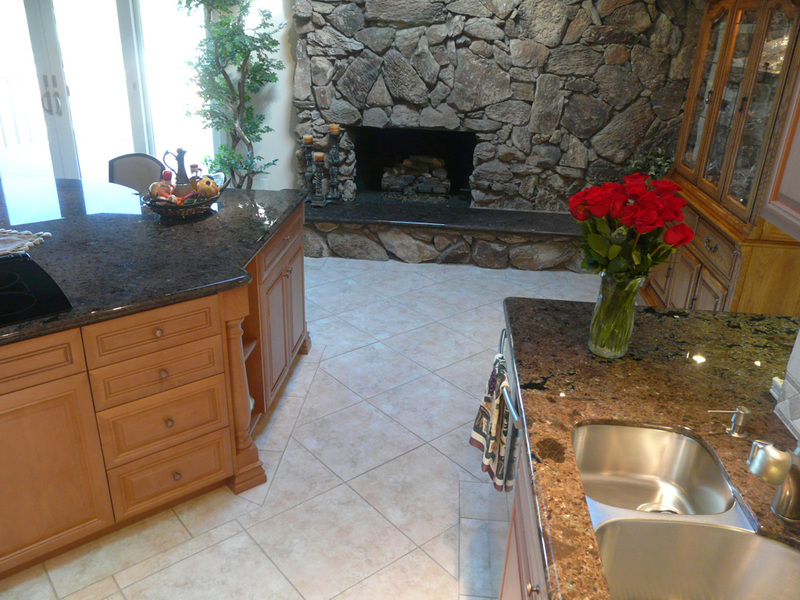 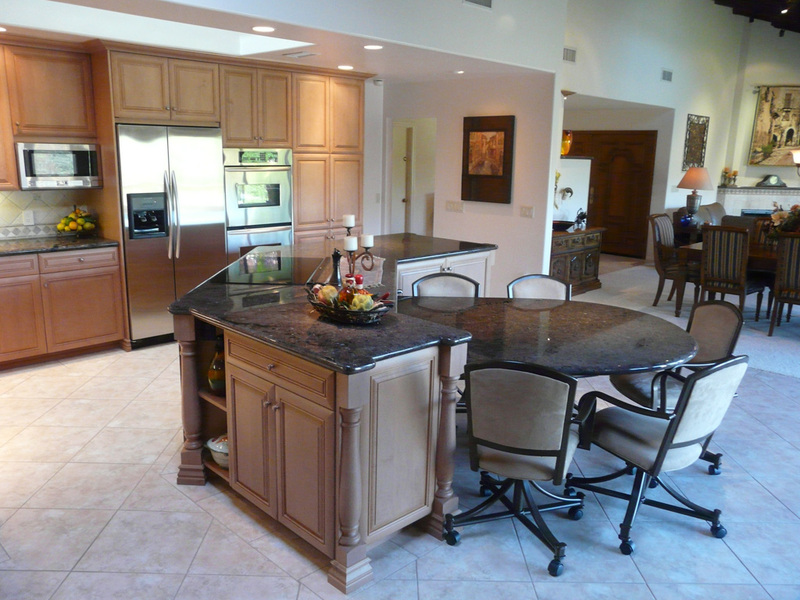 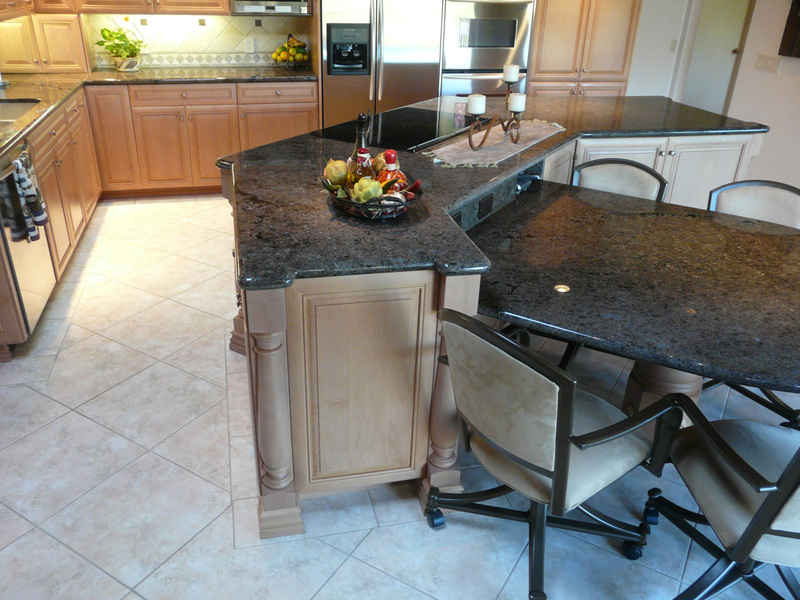 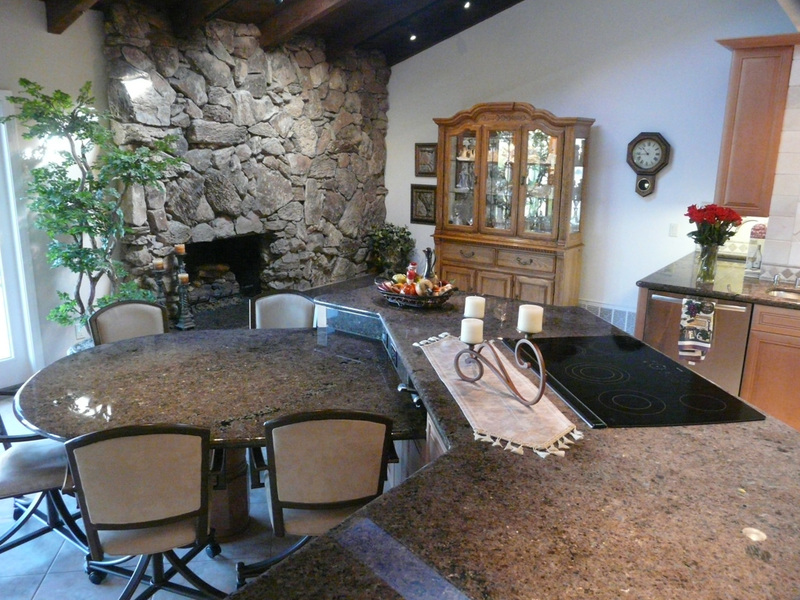 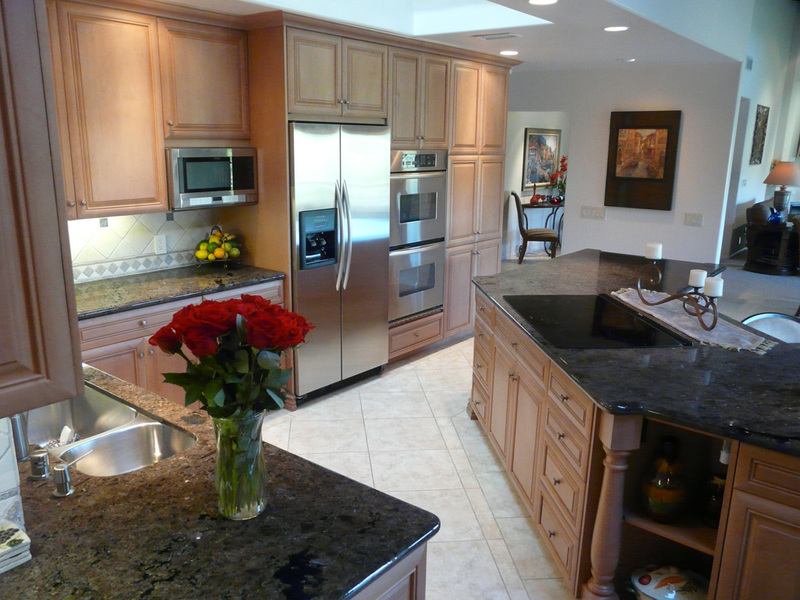 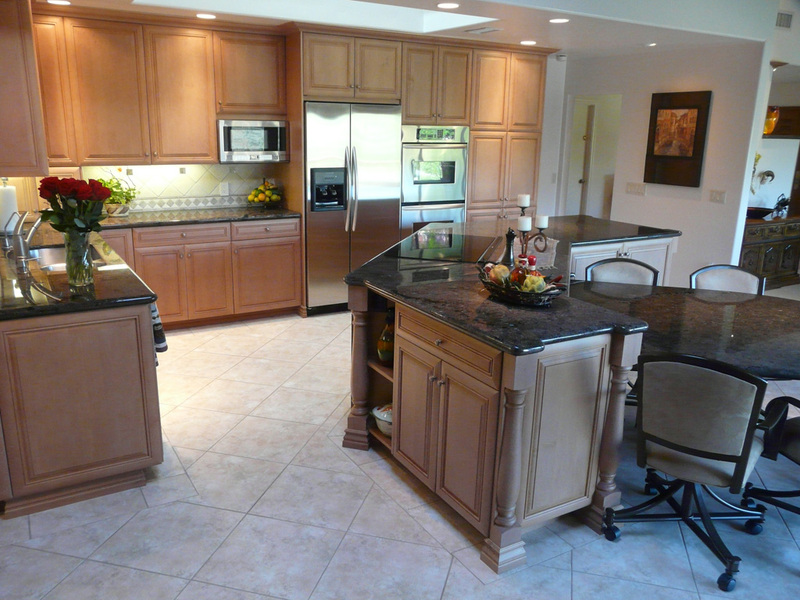 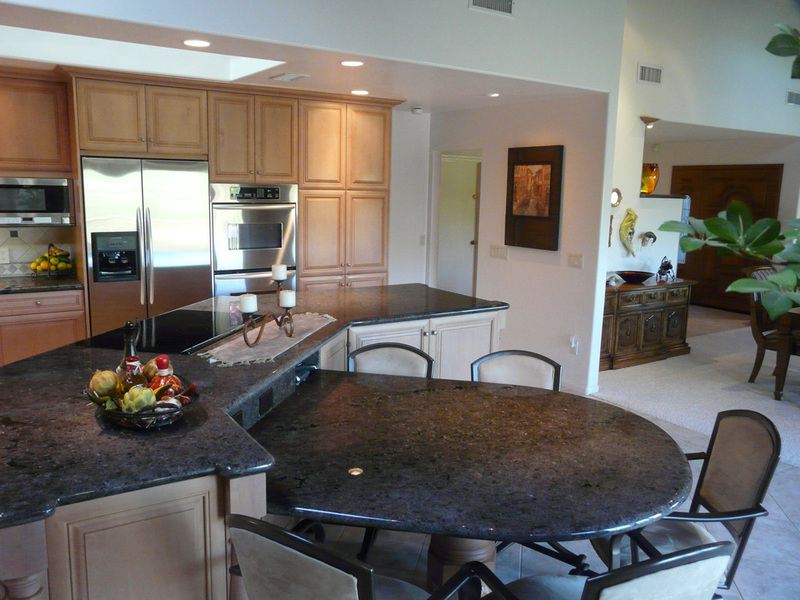 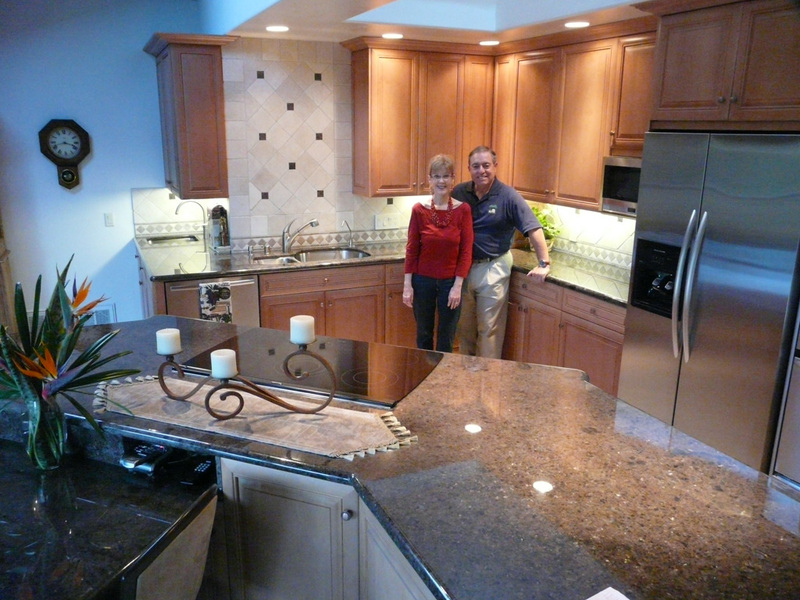 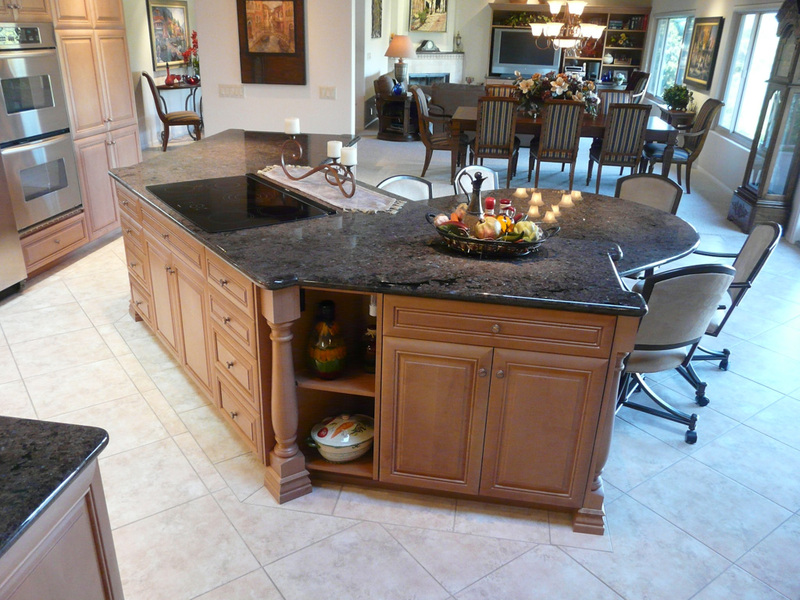 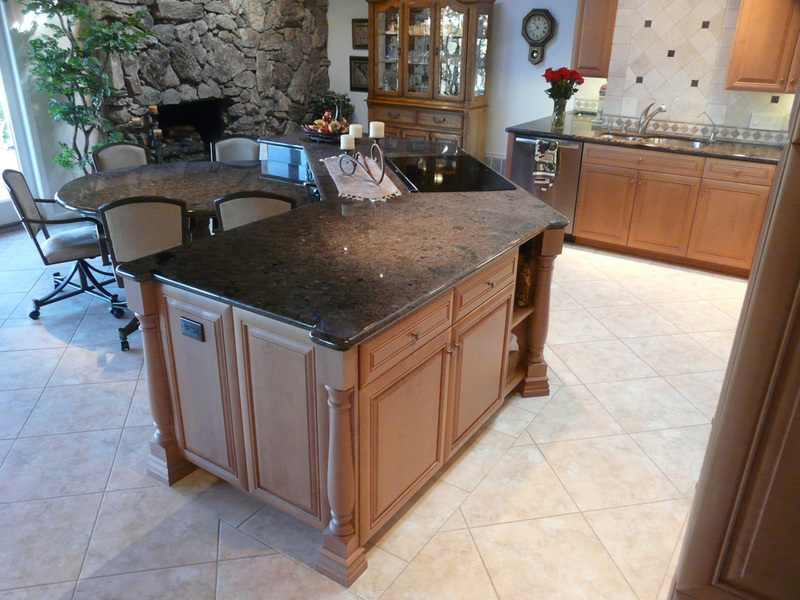 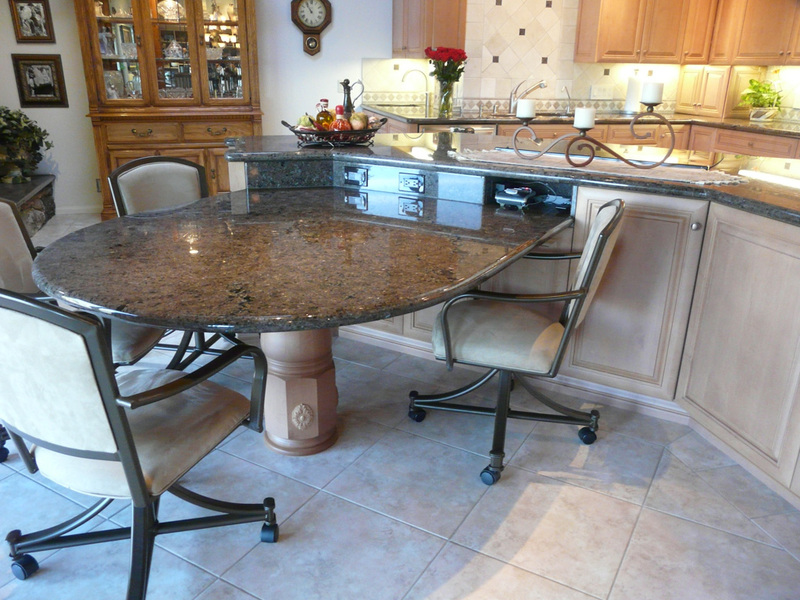 Note the customized granite lined recess area where the table top connects to the island in which the phone can be placed in to get it out of the way. 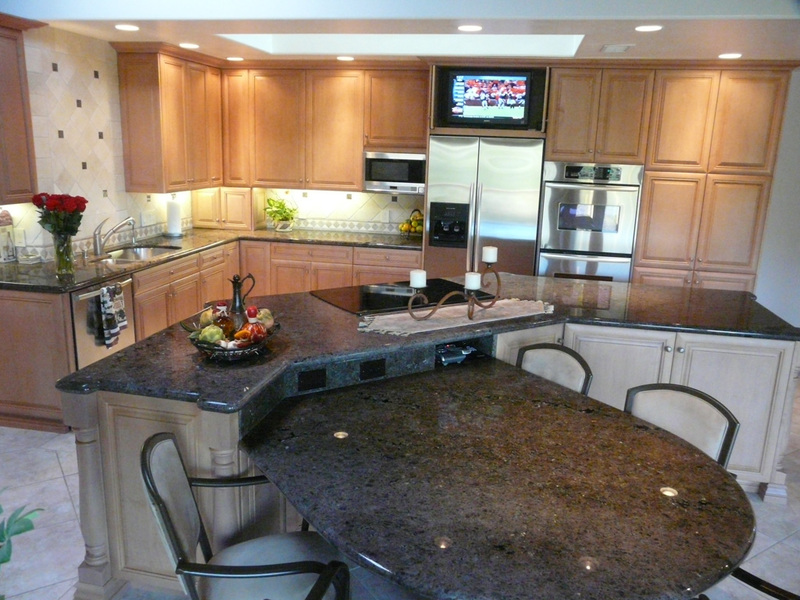 A TV is in the cabinet above the refrigerator with doors that slide back out of the way when the TV is in use. If you look closely in the photos, you will see electrical outlets in the islands open shelf cabinets on each side of the cook top as the island changes directions. 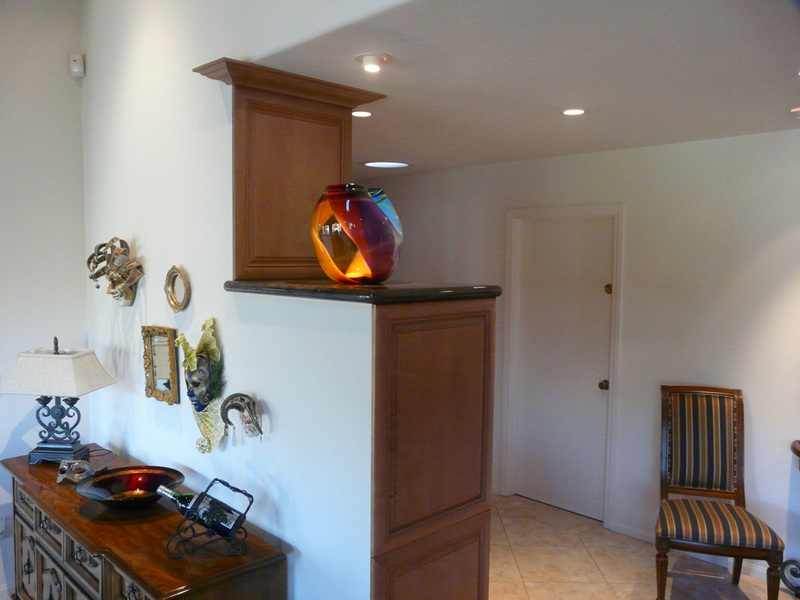 These open shelf units are nice decorative touches, but the outlets give them their functional purpose. You can also see the kitchen is filled with other storage optimizing features, role out shelves, appliance garage, lazy Susan, and knife drawer. 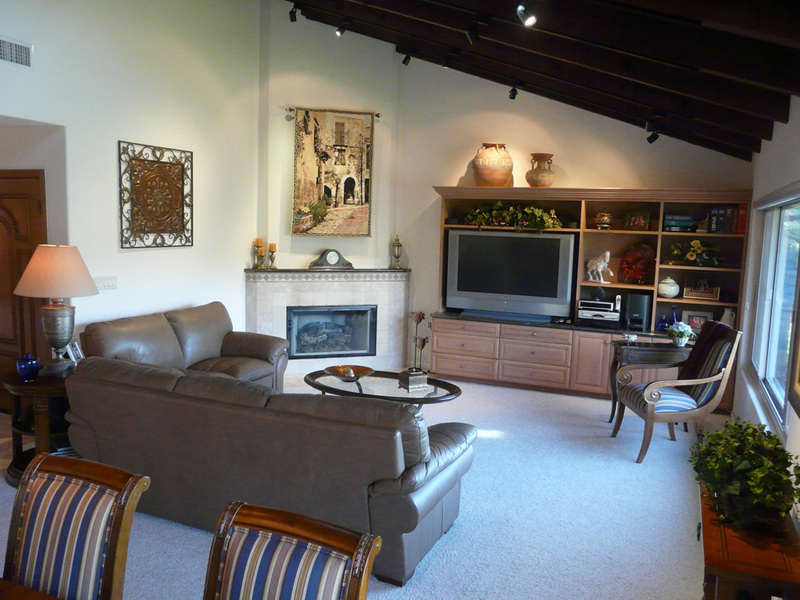 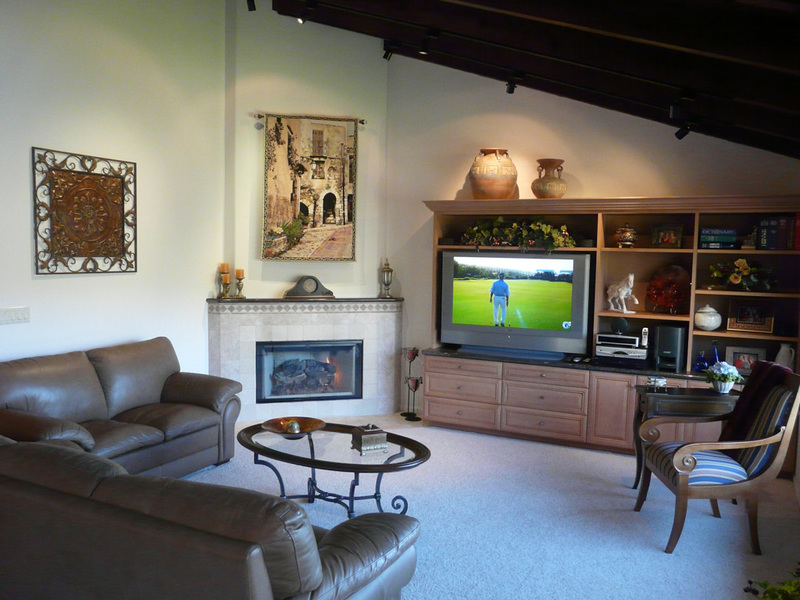 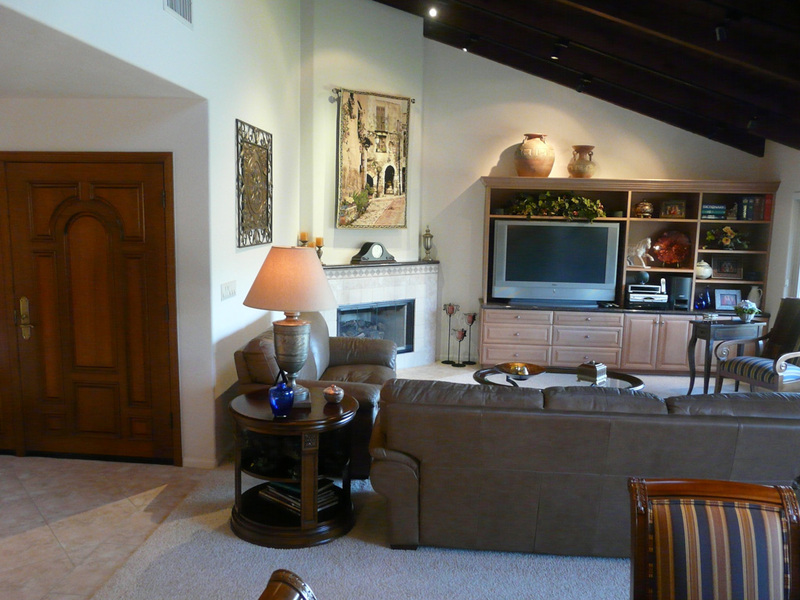 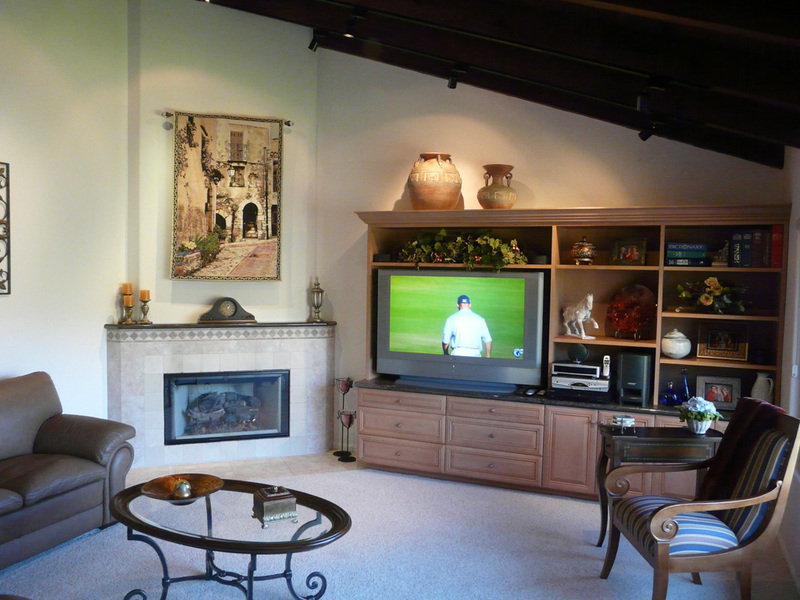 The Living Room layout was completely changed when we added the new corner fireplace and entertainment center cabinets. 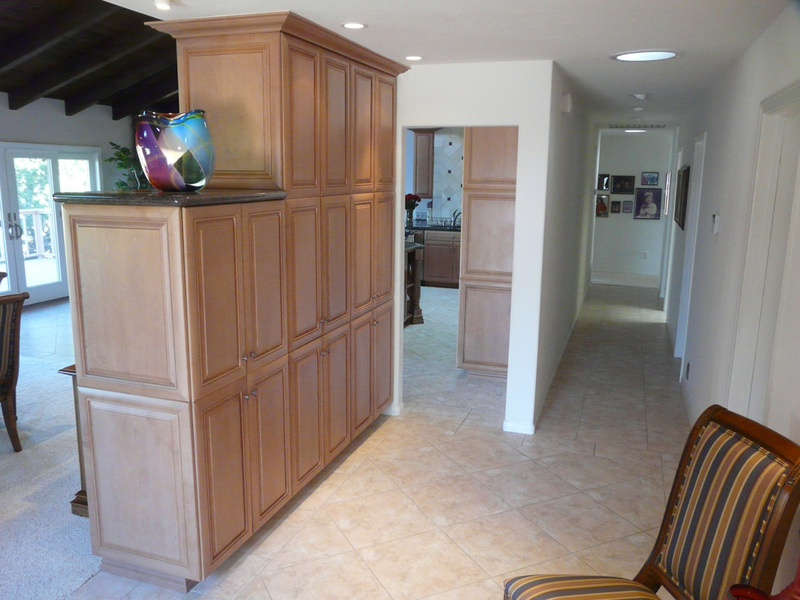 We removed the wall separating the entry from the dining room. Replacing the wall with cabinets facing the entry for extra pantry storage for the kitchen and for general home storage, as well as a coat hanging area in the cabinet below the high art work display shelf. 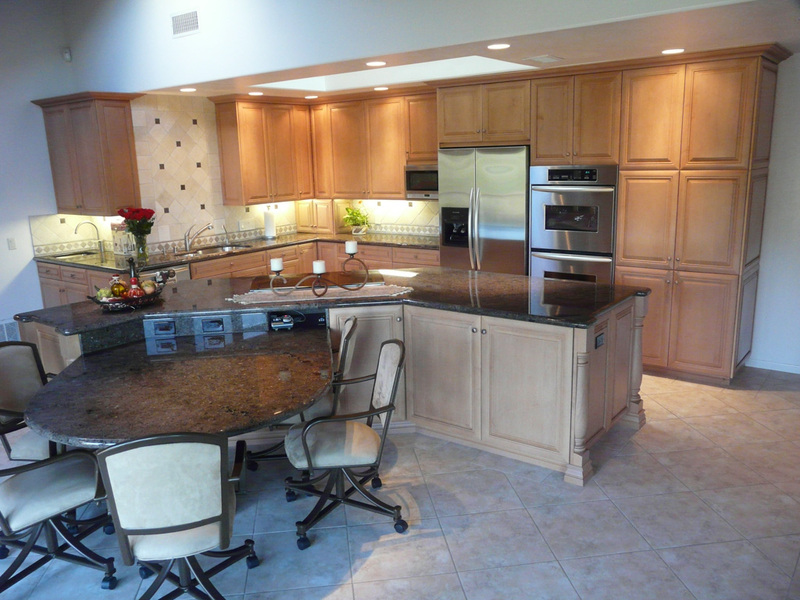 The back of these cabinets were finished with drywall so from the dining room side they appear to be just a wall. 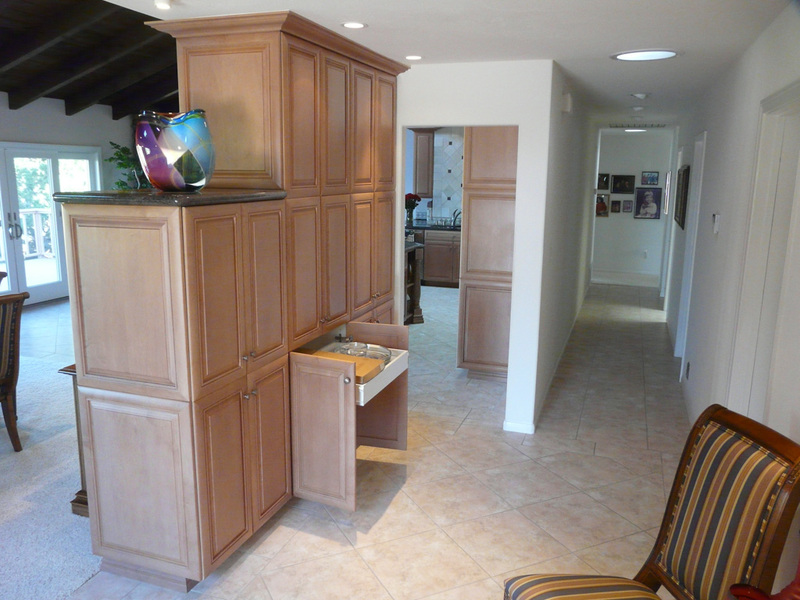 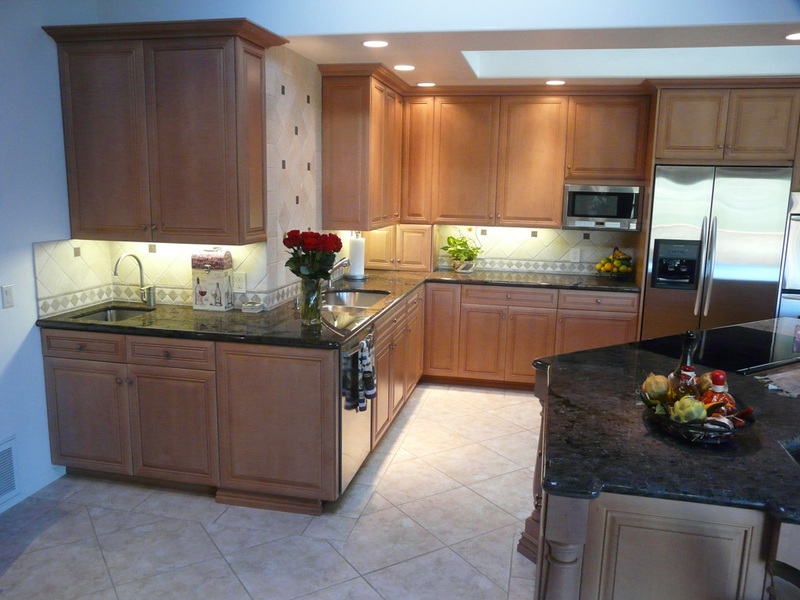 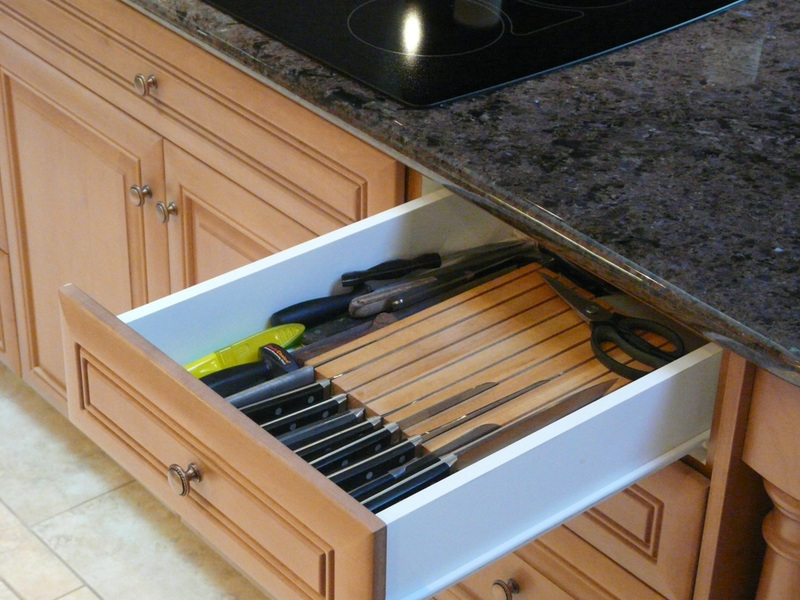 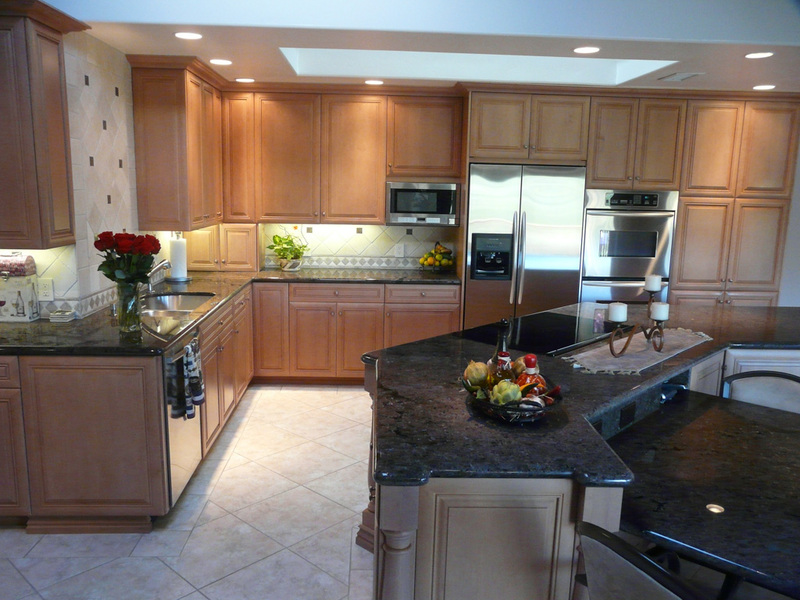 All this new cabinetry was built in around the existing home security center which it now houses also.